The Page 99 Test: Julie C. Keller's "Milking in the Shadows"
Sociologist Julie C. Keller is an Assistant Professor in the Department of Sociology and Anthropology at the University of Rhode Island. She began studying the increasing reliance on immigrant labor in the Wisconsin dairy industry as a graduate student at the University of Wisconsin-Madison. On page 99, I describe what happened when I visited the public library in the Wisconsin town of Fairview (pseudonym to protect the privacy of residents). This is the beginning of Chapter 7, Belonging in the Countryside: The Rural Idyll and the Legal Landscape. Curious about the services at the library, I asked if there were any Spanish-language materials available to borrow. Shaking her head, the librarian told me that there is not a large enough population of Spanish speakers in the region to justify purchasing books and DVDs…What was striking about this characteristically midwestern encounter was that by that point, I had met roughly twenty migrant workers from Mexico living on farms within a few miles of Fairview. I would meet many more during the course of my fieldwork. This population was certainly “there” in Fairview, for I had seen and interacted with them. 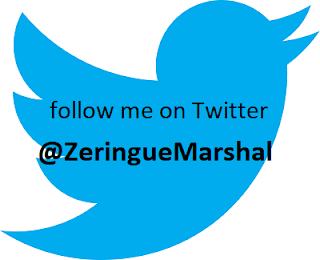 My experience at the library became even more striking when I reviewed the latest statistics on changes in Hispanic populations across the United States by county. Dennon County, where Fairview was located, had experienced a tremendous growth in their Hispanic population from 2000 to 2010 (Pew Research Center 2016). 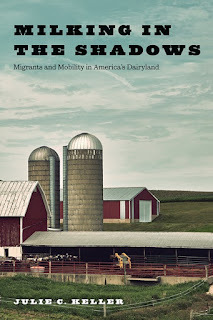 The passage above sets the scene for investigating questions about the local communities that surround dairy farms and feelings of belonging among the undocumented immigrants working on these farms. This chapter argues that the rural idyll (an ideal construction of rural spaces) and the local legal landscape in Wisconsin work together to hamper migrants’ mobility in ways that both regulate and exclude them. In response, workers pushed against the structures that restrict their mobility, in some cases redefining the concept of citizenship as one based on ideals of community respect rather than documentation. To conclude, the scene I describe on page 99 wonderfully encapsulates my objective in writing this book: to illuminate the lives of workers who milk in the shadows and the structures that impede their mobility. Learn more about Milking in the Shadows at the Rutgers University Press website.